AdvocareThermoPlus is a weight loss supplement that promises to help the body shed pounds through the use of potent components. The company behind this supplement also wants to give customers, especially the ones with tight budget, an effective option despite its reasonable cost. Basically, the ingredients in AdvocareThermoPlus’ formula are the usual components used in many weight loss supplements. In this case, are the components reliable enough to generate significant weight loss benefits? Let’s find out. When it comes to assessing any product, it’s essential to consider the following factors: quality of components and its respective amount per serving, price, and adverse reactions. As for weight loss products, it’s pretty obvious that there are so many of them right now. These supplements, of course, all claim that they’re the best in terms of safety and effectiveness. This gives customers a tougher time in making a decision. But there’s only one way to know if the brand you’re eyeing to try is efficient and that’s by knowing if it is backed by clinical evidence or not. The company behind this supplement, Advocare, states that ThermoPlus is capable of transforming fat into energy, increasing metabolism, and controlling one’s appetite. Moreover, this supplement has vitamins and other natural components to live up its promise. Oolong Tea Extract – typically used for its fat burning abilities. It is high in caffeine and antioxidants. The former helps in rousing the body’s temperature, torches fat, as well as increases the user’s energy and mental alertness, which improves your workout capacity. Sage Extract – typically used as a spice, this ingredient has also been demonstrated to help with the digestive process, improve memory, and cure fever. Guarana Extract – this ingredient comes from Brazil, which is loaded with caffeine. It also aids in the body’s regulation of hunger. A research determined that participants consuming a combination of herbs that includes guarana had experienced weight loss of 11.2 lbs, averagely. Another study, however, didn’t show any notable effect. Thiamine – a B-vitamin, this component is vital to sustain the body’s normal capacities. It’s also been demonstrated to increase energy levels. On the other hand, losing weight is considered as a side effect of thiamine supplement, rather than its main role. Niacine – another B-vitamin, it is an organic substance that aids in the eradication of the bad cholesterol. It’s also been utilized to help individuals who are likely to suffer from a heart attack. AdvocareThermoPlus’ use of oolong tea is surely something that makes the supplement has the potential to reduce weight. 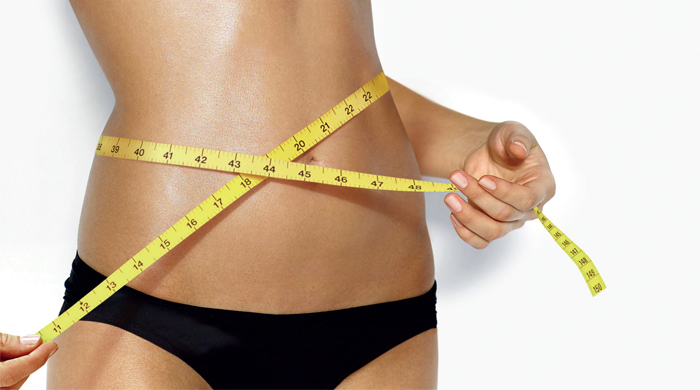 The said ingredient has been scientifically verified to facilitate the body’s mechanism to shed pounds. Plus, AdvocareThermoPlus also contains antioxidant gains courtesy of some other components. In addition, it has B-vitamins that are able to facilitate the body’s normal functioning. A bottle of AdvocareThermoPlus, which consists of 90 pills, only costs $31.95. This price is definitely cheaper compared with other similar supplements. Its reasonable pricing is something that budget-conscious buyers will find appealing. On the other hand, other components present in the product’s formula are not backed by any clinical proof in terms of their effectiveness for weight loss. This includes Guarana, sage, and thiamine. Another factor is that AdvocareThermoPlus seems to be an exclusive blend, which means that the respective dose of each ingredient is not known. In this case, it’ll be hard to gauge the effectiveness of the components, as well as the side effects. AdvocareThermoPlus claims to be one of the best. Nevertheless, not all of its ingredients are clinically proven to show promising results. Still, the supplement has a low cost that’ll be appealing to customers who are conscious of their budgets. It’s also important to note the proper nutrition and regular exercise are still vital part of your weight loss management plan.